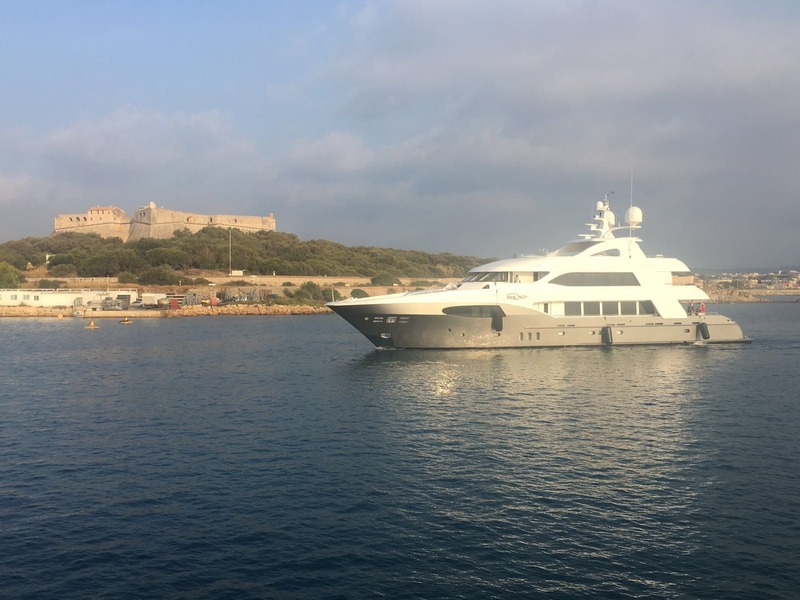 Originally launched by the premier US shipyard Palmer Johnson in 2000, superyacht I SEA (ex Alexis, Airwaves, Big City, hull PJ 229) is an elegant 37.5-metre semi-displacement vessel, with the last refit by Atlas Shipyard from Greece and designers Navinco in 2014. 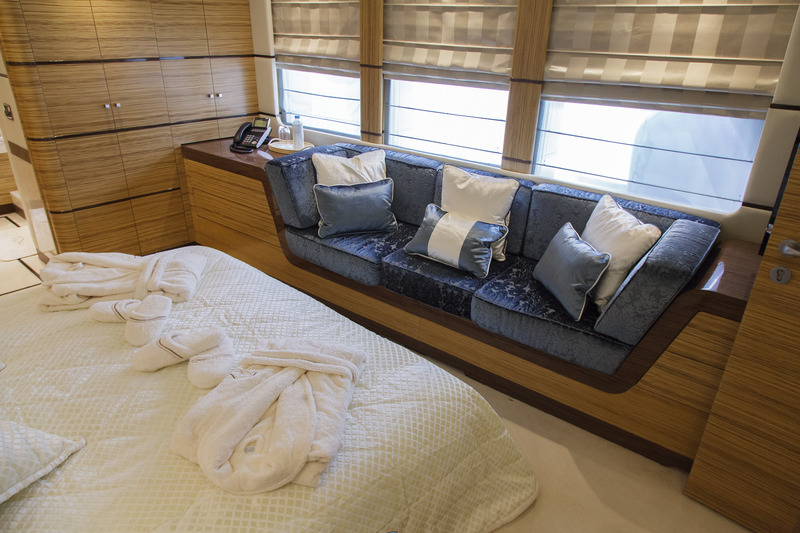 Accommodation is offered across five cabins for nine guests, while a crew of nine offers top luxury service for a relaxed holiday on board. 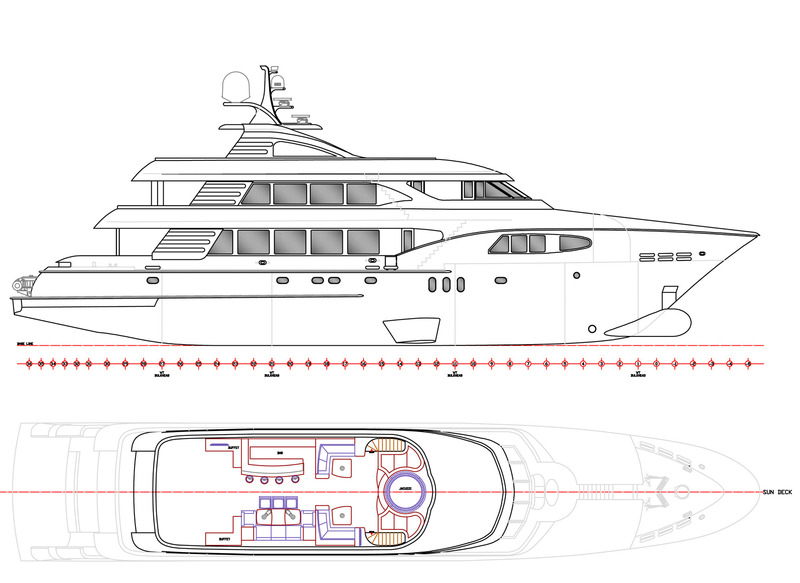 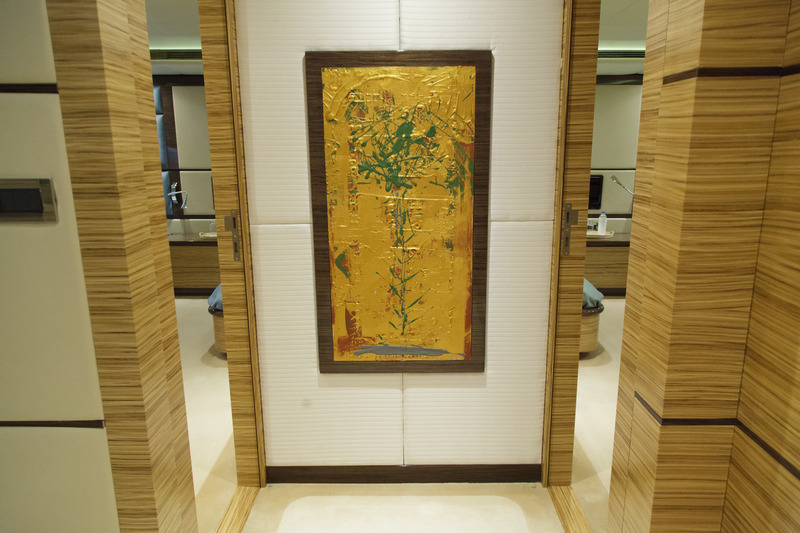 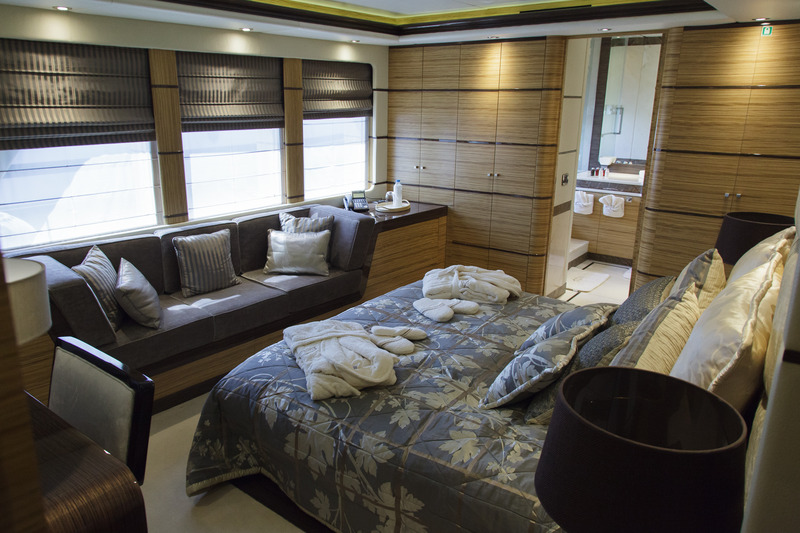 The major refit saw the beautiful motor yacht ISEA gain a completely new deck as well as major changes to her bow. 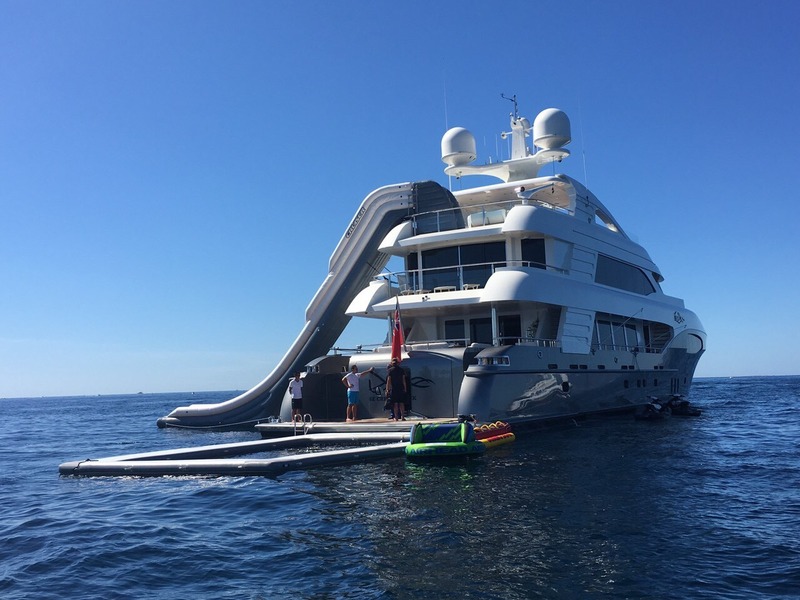 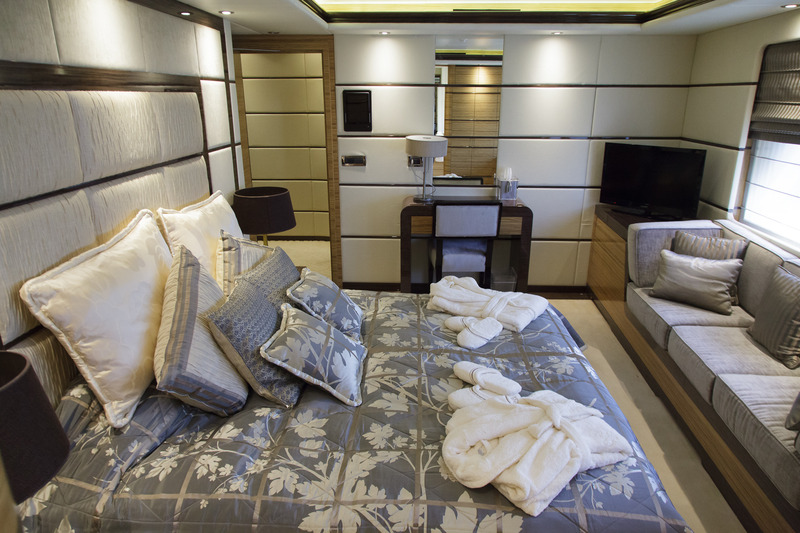 Palmer Johnson PJ 229 luxury yacht I SEA features elegant interiors, providing comfortable accommodation to 10 guests in total. 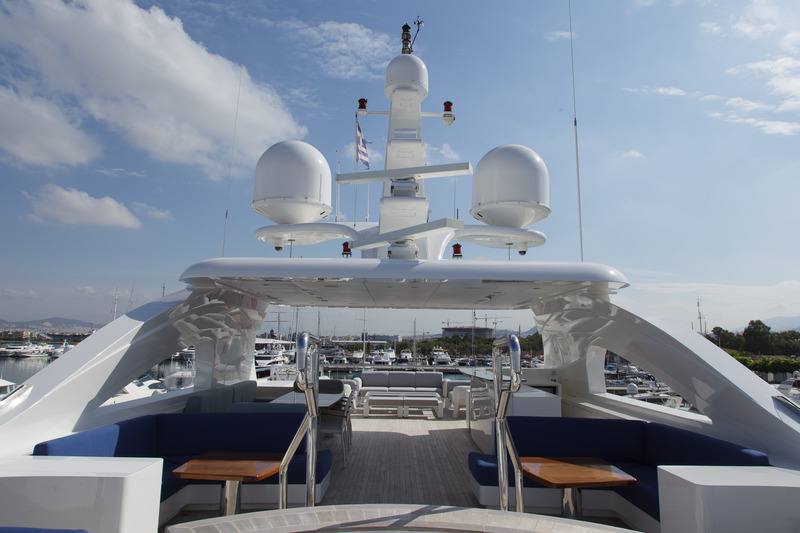 They are looked after by an attentive crew of 5 professionals. 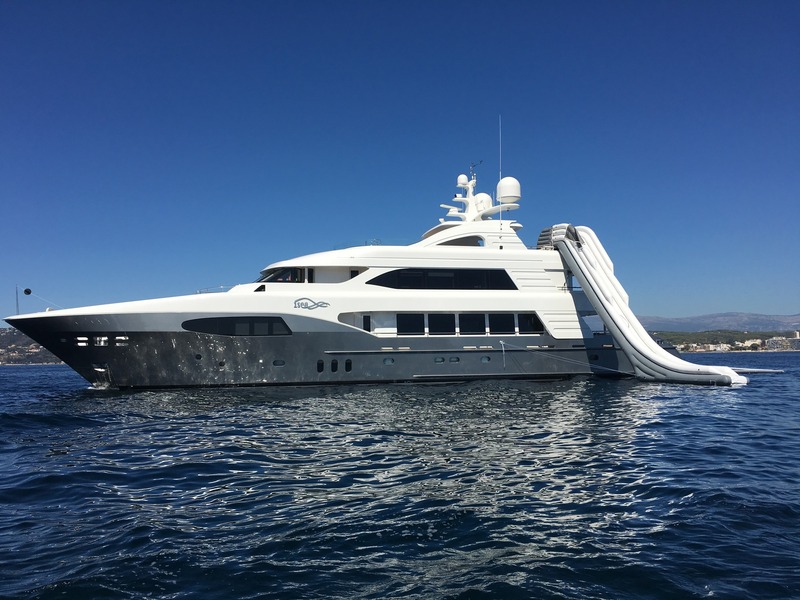 All-aluminium luxury yacht I SEA (ex Alexis, Airwaves, Big City, hull PJ 229) can reach a comfortable top speed of 18 knots, thanks to her twin Detroit 16V 2000 diesel engines. 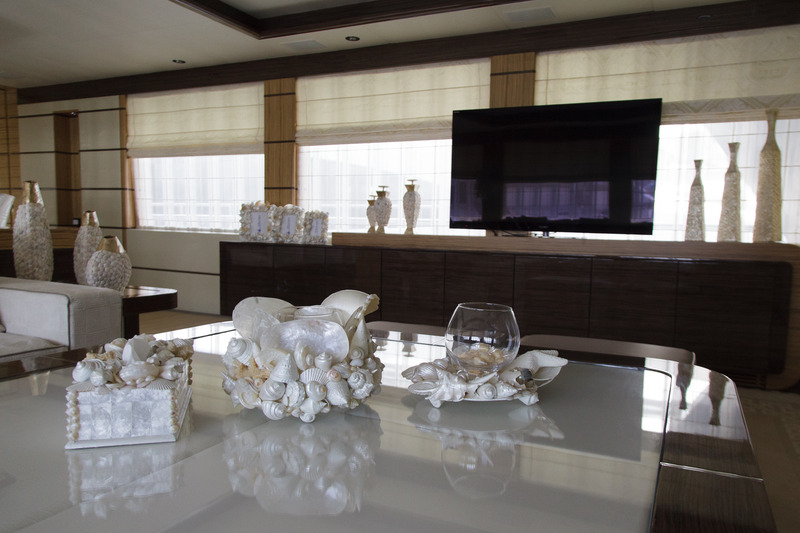 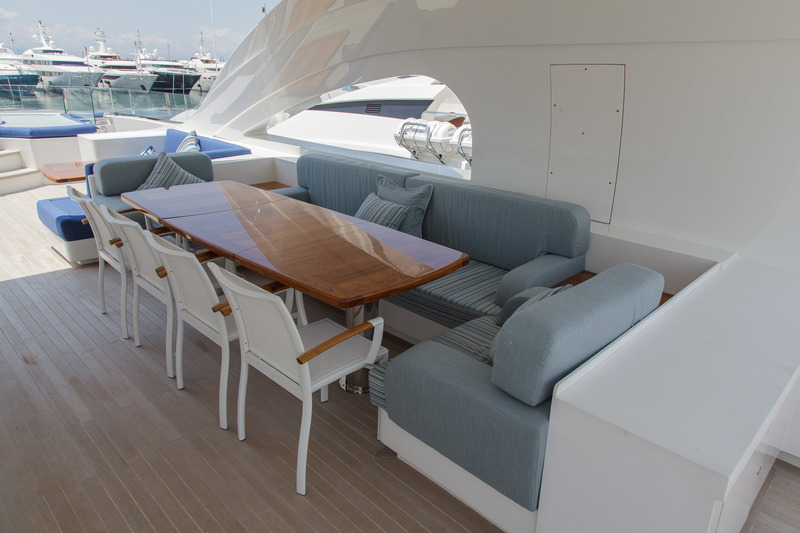 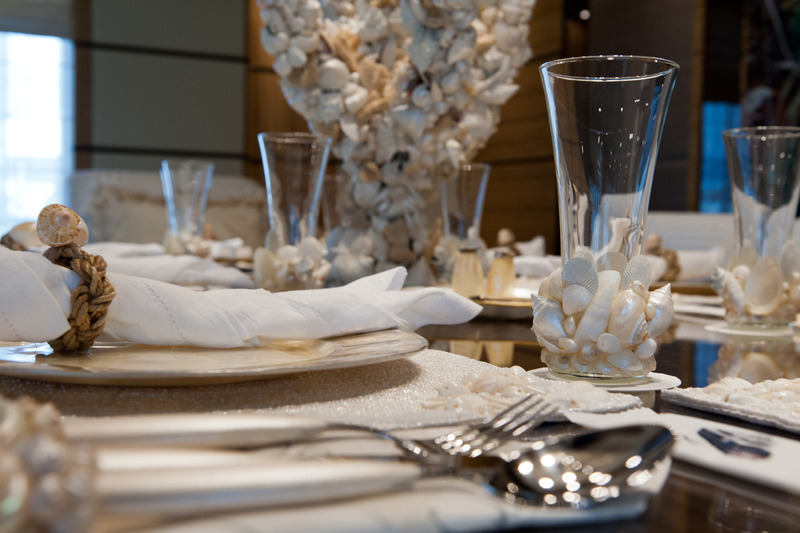 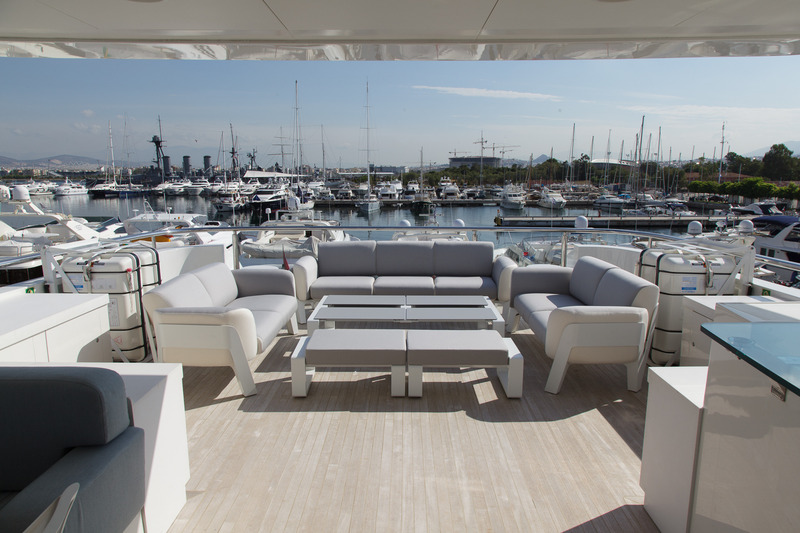 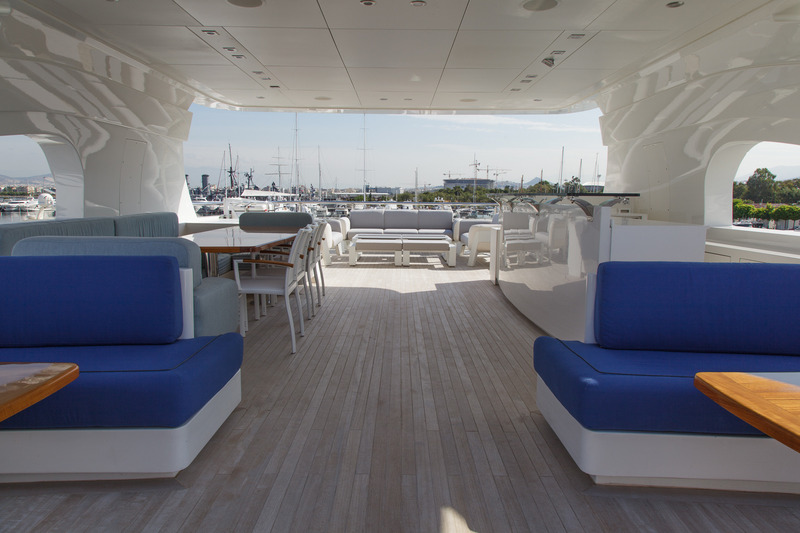 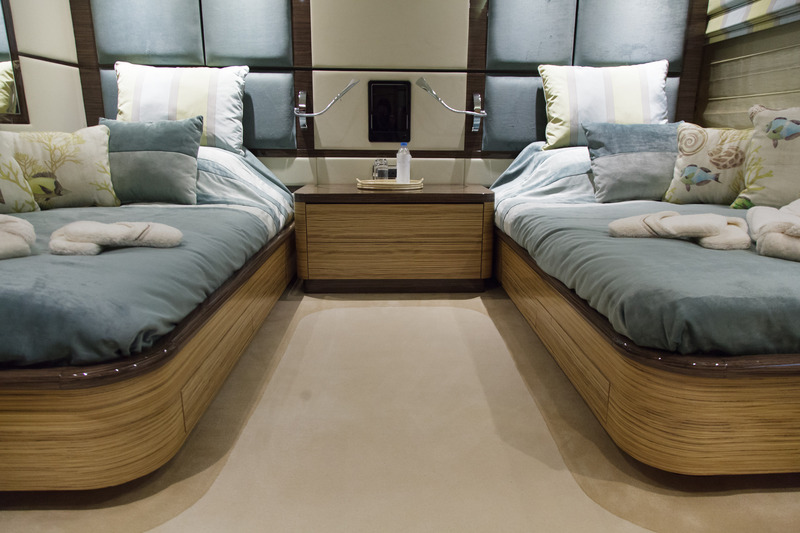 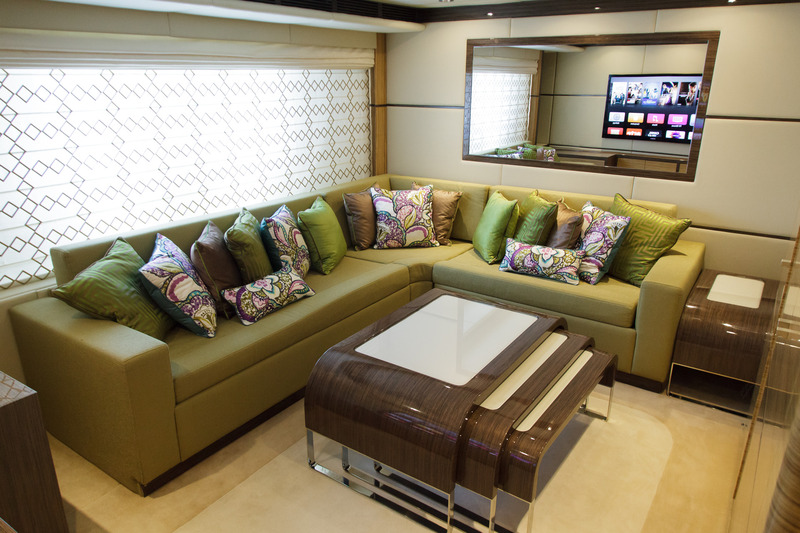 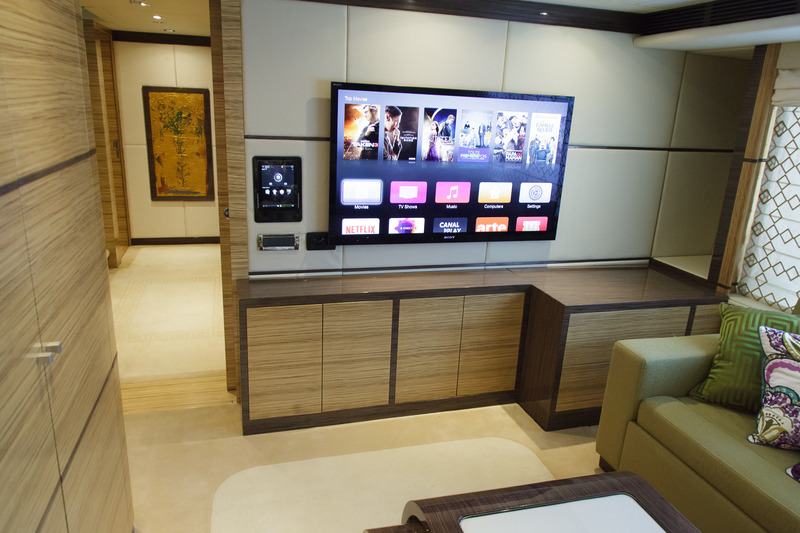 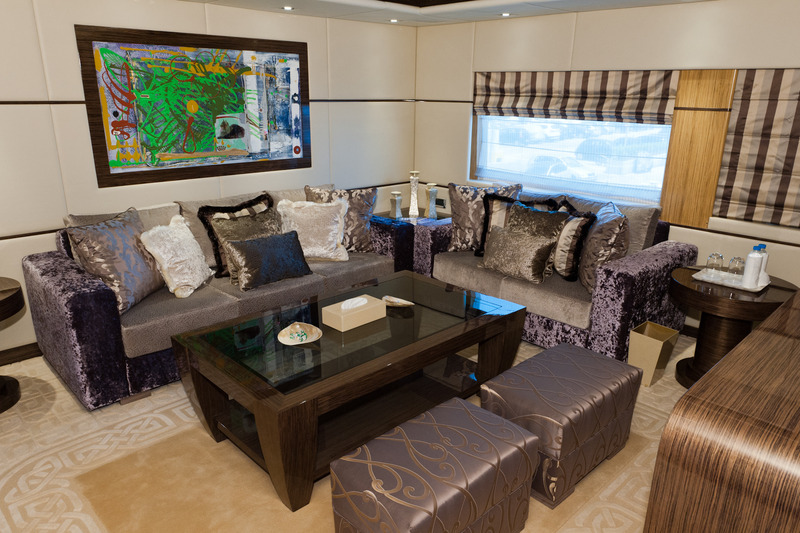 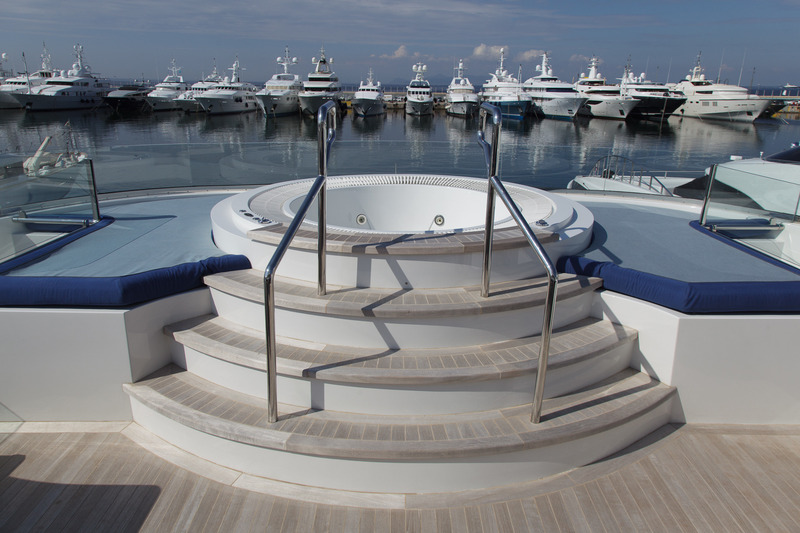 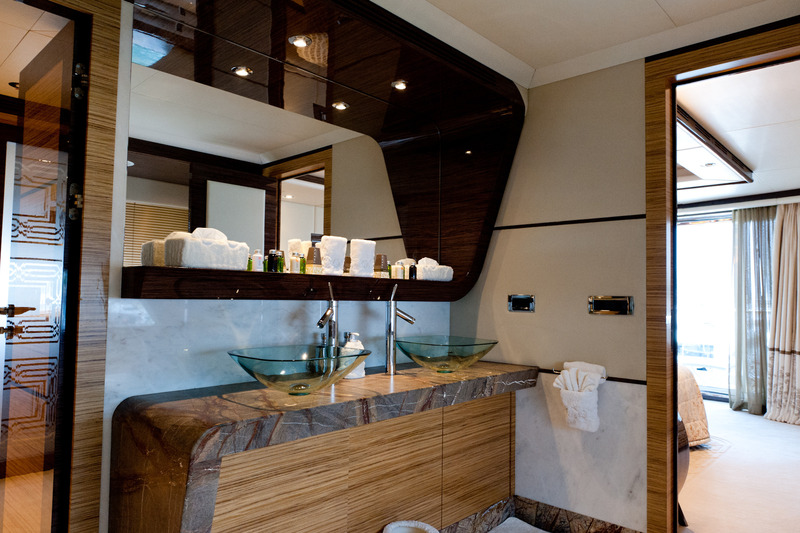 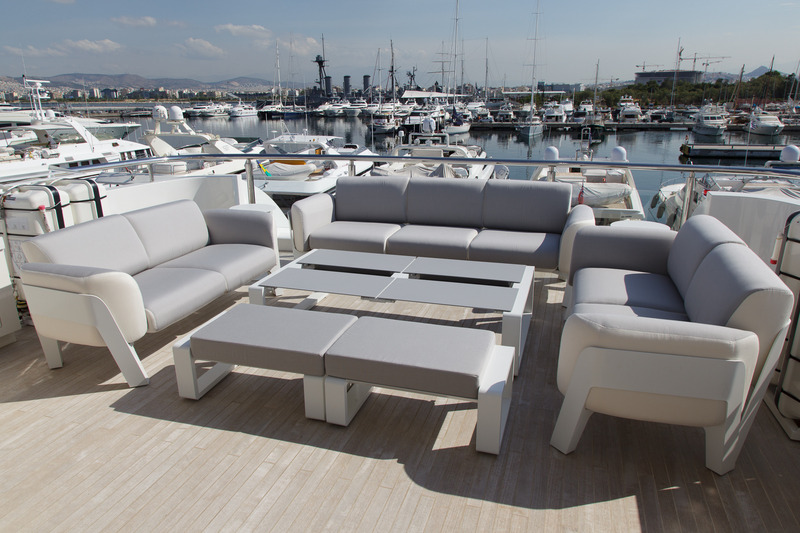 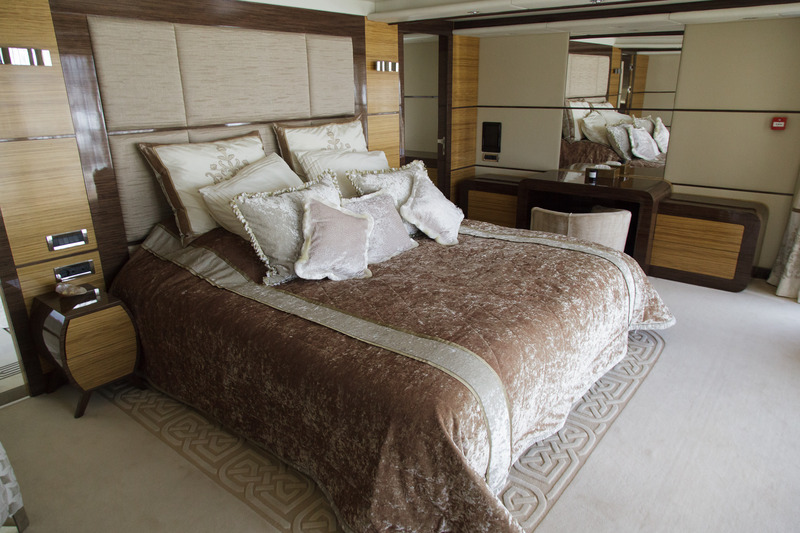 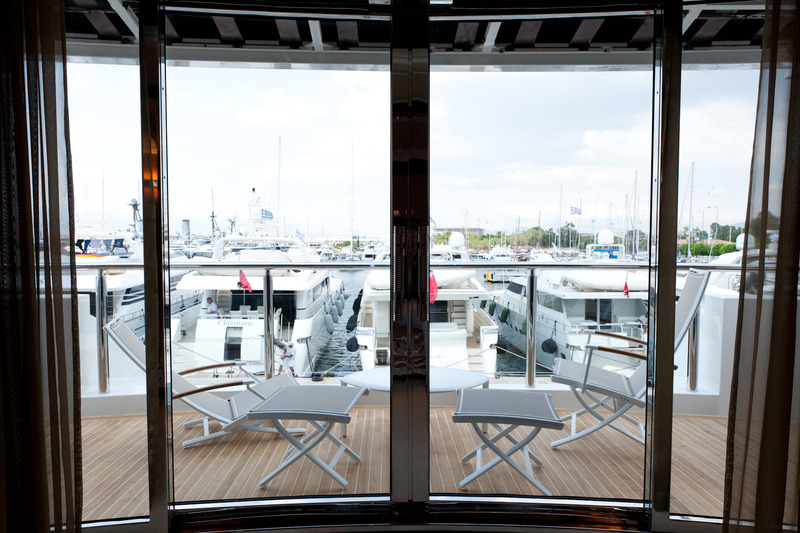 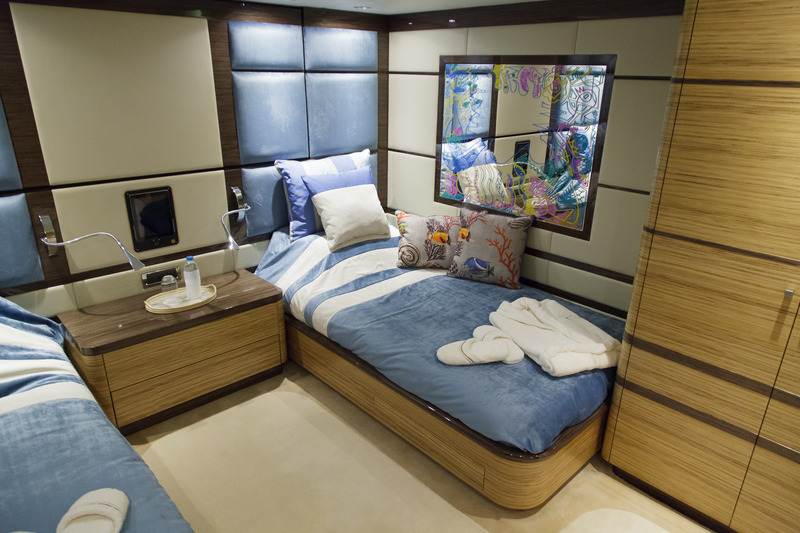 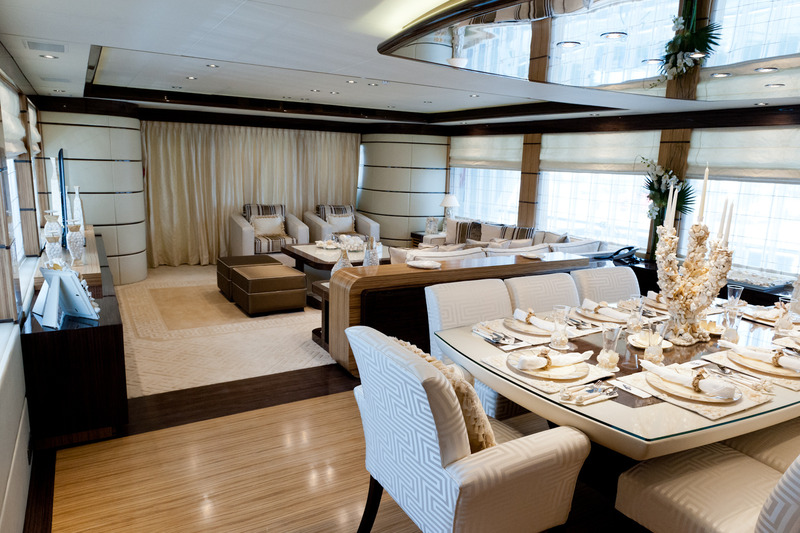 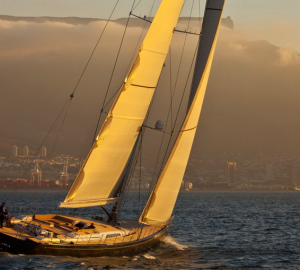 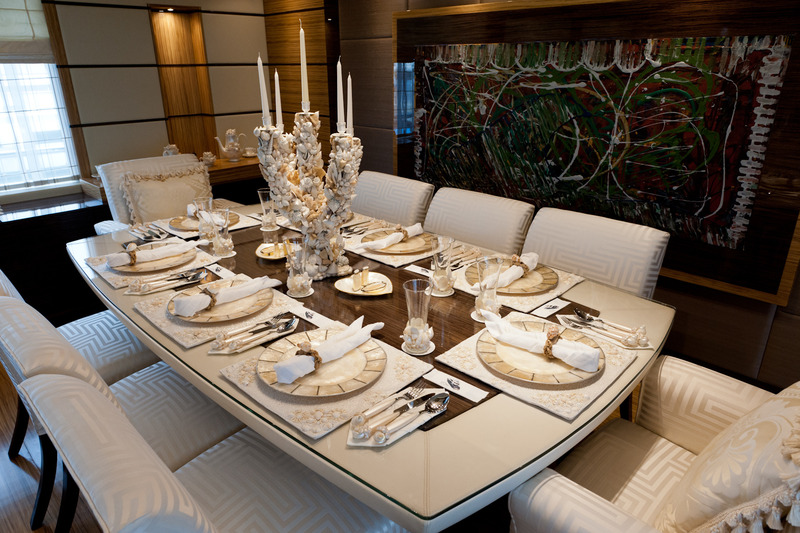 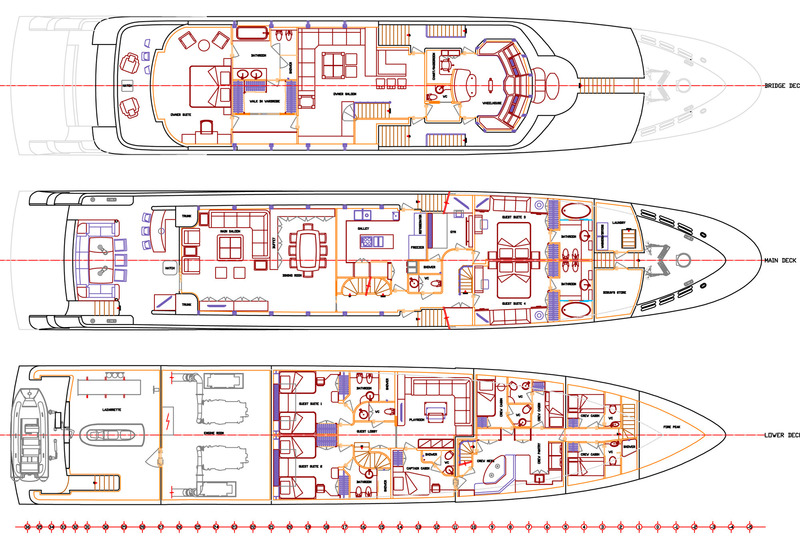 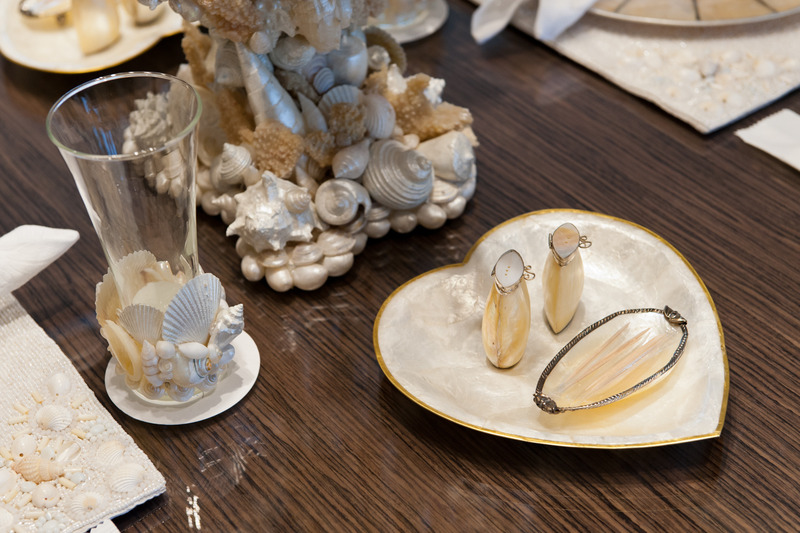 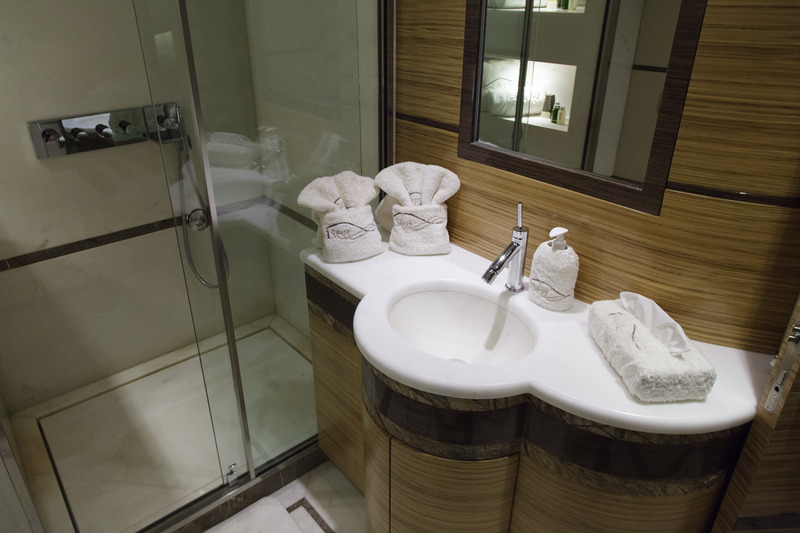 A total number of 10 guests can be accommodation aboard tri-deck I SEA yacht in maximum comfort. 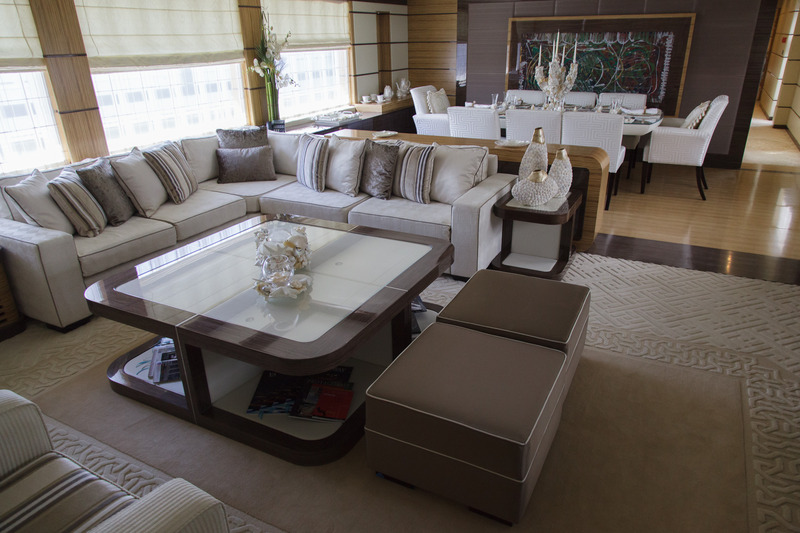 She is managed by a professional crew of 6 members.